action, adventure, articles, cinemas, drama, entertainment, fantasy, film festival, films, horror, movies, news, news & Gossip, PEOPLE, posters, remake, thriller, Uncategorized, updates, WTF?! 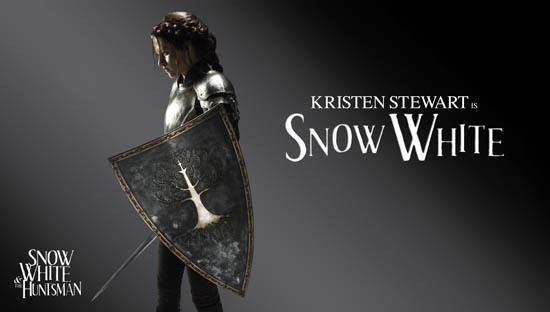 2012 we will see 2 Snow White movies, one from Tarsem Singh untitled with Lily Collins the other is Universal Pictures SNOW WHITE & THE HUNTSMAN and yesterday at ComicCon the first characters banners were revealed. 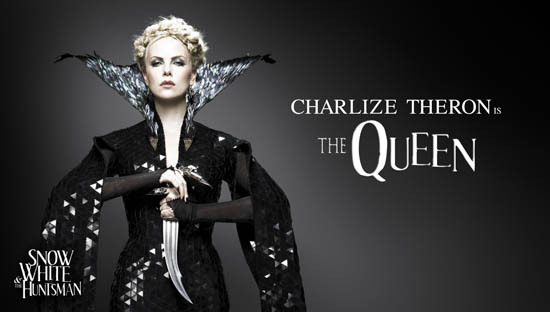 The images show Kristen Stewart as Snow White, Charlize Theron as the Queen, Chris Hemsworth as the Huntsman and Sam Claflin as the Prince. 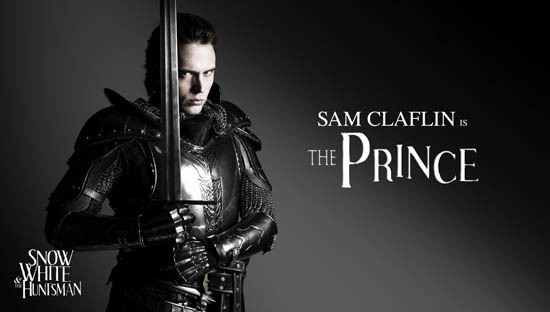 The movie is been directed by Rupert Sanders which will be a retelling of the classic fairytale of Snow White &7 Dwarves which we know is to be a ‘darker’ version of the fairytale but how darker we dont know. 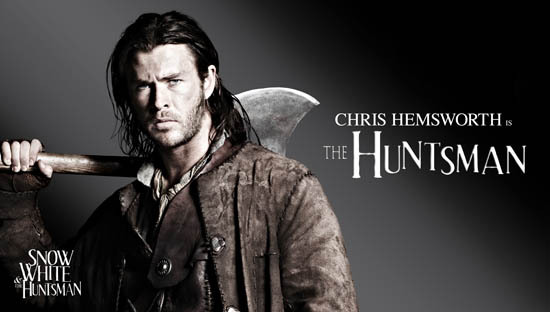 The actual filming doesn’t start until October with the movie set for a June 2012 release, the movie also stars Ian McShane, Eddie Izzard, Bob Hoskins, Toby Jones, Eddie Marsan, Steven Graham and Nick Frost who will play the dwarves.